LLAMA podcast #20: Why do women live longer than men? Does the ability to bear children play a role and to what extent do evolutionary forces discriminate between men and women? 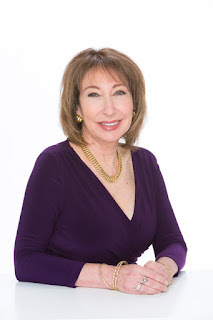 Dr. Felice Gersh is a board-certified (1984) gynecologist and the founder of a private medical practice, the Integrative Medical Group of Irvine, California. Fellowship trained in a relatively new medical field, known as functional/integrative medicine, Dr. Gersh believes longevity is connected to estrogen. She argues that it is the “most maligned and insulted” of all hormones and acts a natural anti-inflamatory agent to promote good health in both women and men. Dr. Gersh is a leading voice on women’s health issues. She advocates for a better understanding of the role stomach bacteria play in living a long, healthy life. A prolific speaker, she believes doctors should “expand their tool boxes” to include acupuncture, herbal medicine and meditation. In this in-depth interview Dr. Gersh explains why she “had to unlearn” about half of everything she learned at medical school calls for a fundamental “shake-up” in the delivery of health care.